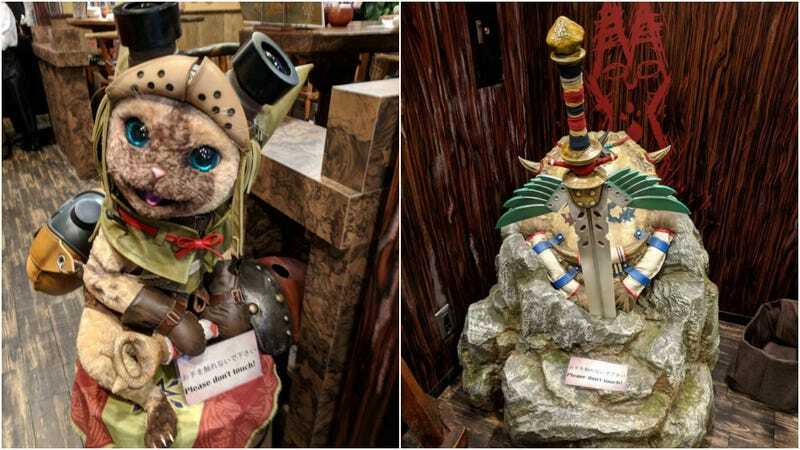 Earlier this spring, Capcom opened a Monster Hunter bar. Please don’t touch stuff in it, okay? Recently, reader Ivan checked out the bar, and he went around taking photos. I hope he didn’t go around touching things, because that place is filled with do not touch signs. Can you spot the don’t touch signs? You can touch the demo station. And your food. Thank goodness for that! For more of Ivan’s photos, click here.